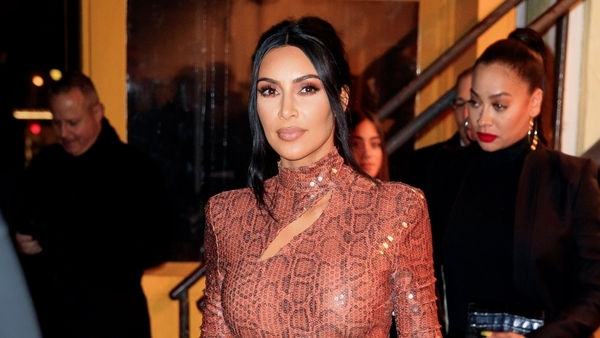 Kim Kardashian West has hit back at trolls who have criticised her following her announcement that she is studying to become a criminal justice lawyer, saying you should never be limited in the pursuit of your dreams or goals. The 38-year-old reality TV star and businesswoman has received some backlash online since announcing her studies, with some questioning how she managed to get accepted to study law having not finished college, and others suggesting her financial status and celebrity are behind it. Taking to Instagram, Kim explained how she has embarked on the journey, describing the time commitment and work involved in pursuing her dream of becoming a lawyer, and addressing the negative comments she has received. "Last year I registered with the California State Bar to study law," she said. "For the next 4 years, a minimum of 18 hours a week is required, I will take written and multiple choice tests monthly. She continued, "I've seen some comments from people who are saying it's my privilege or my money that got me here, but that's not the case. "One person actually said I should 'stay in my lane'. I want people to understand that there is nothing that should limit your pursuit of your dreams, and the accomplishment of new goals. "You can create your own lanes, just as I am. The state bar doesn't care who you are. This option is available to anyone who's state allows it." Kim then revealed that while she did not finish college, she had earned enough credits in her time attending college to allow her to go down this route. "For anyone assuming this is the easy way out, it's not," Kim said. "My weekends are spent away from my kids while I read and study. I work all day, put my kids to bed and spend my nights studying. "There are times I feel overwhelmed and when I feel like I can't do it but I get the pep talks I need from the people around me supporting me. "I changed my number last year and disconnected from everyone because I have made this strict commitment to follow a dream of mine - It's never too late to follow your dreams." Kim's late father Robert Kardashian was a lawyer, though when she revealed her studies she said her interest in the law was really piqued through her work on the Alice Johnson case. Johnson had been in an Alabama prison on a non-violent drug charge since 1996 and Kim visited US President Donald Trump in the White House to argue her case. The president eventually granted Johnson clemency. Speaking to US Vogue about her decision to venture into a law career, she said, "I just felt like the system could be so different, and I wanted to fight to fix it, and if I knew more, I could do more."